Italian Wedding Soup, where did this name come from? Do you really serve it at weddings? 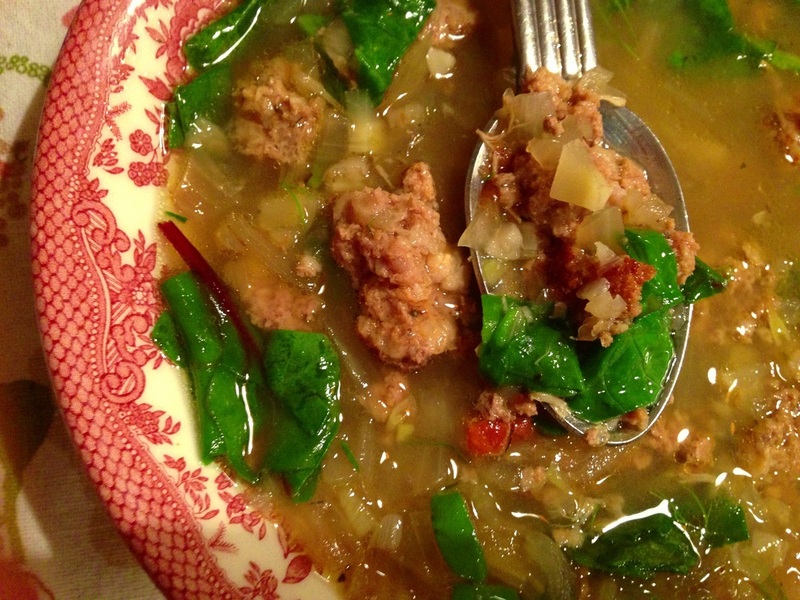 The translation in English for wedding soup actually means "married" soup in Italian. 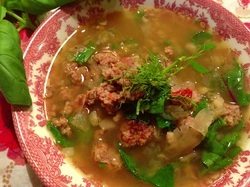 Even though meats and green vegetables are different from each other they go so well together hence the "married" aspect of the soup. 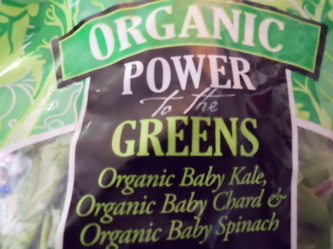 The green veggies can be endive, escarole, cabbage, kale or spinach. 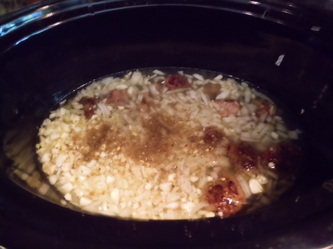 The meat could be meatballs, sausage or shredded chicken. It is a clear broth and can contain pastina (baby pasta), orzo (pasta that looks like rice) or lentils. 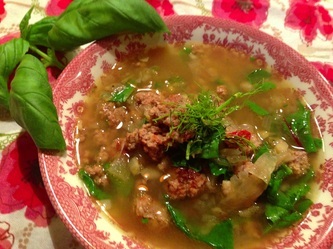 In my soup today I omitted the pasta all together to make this very healthy version but you can very easily add it and I will include that in my steps. 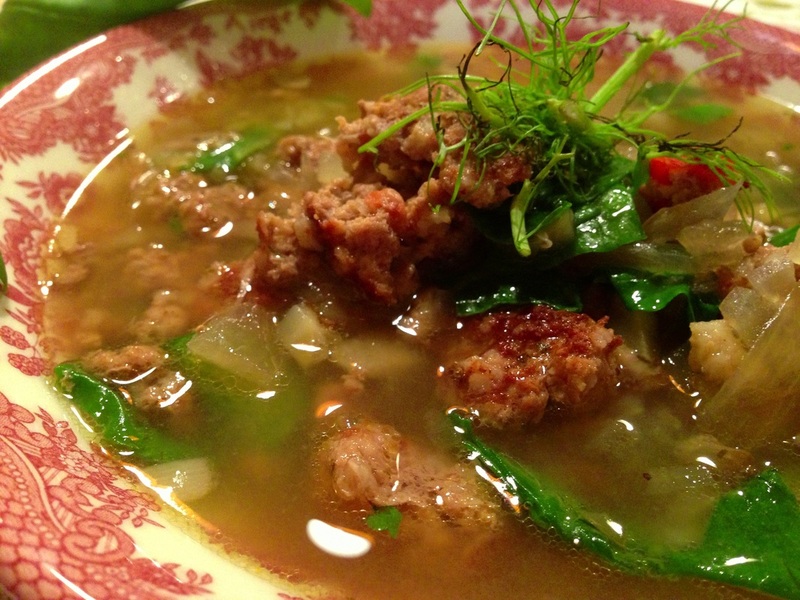 I really love this simple light broth with the meatballs. 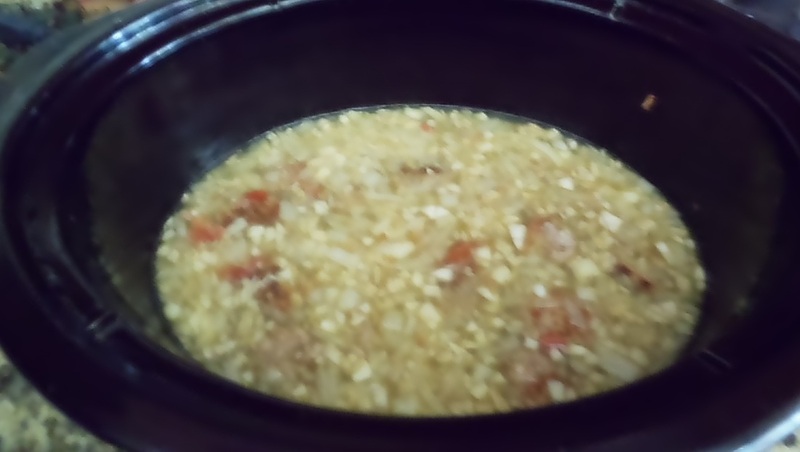 I used a crock pot so my house was full of wonderful yummy smells. 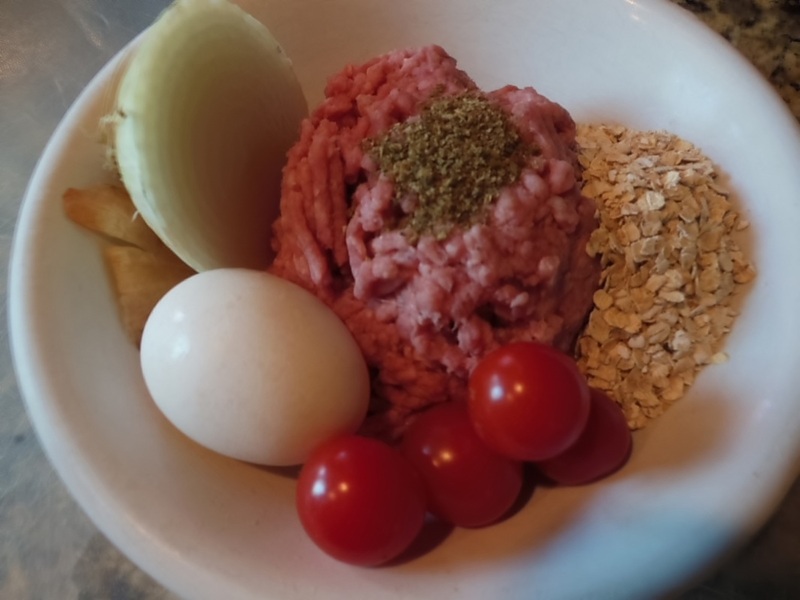 Finely chop 1/3 on the onion (thinly slice the remaining onion and put aside) In a bowl combine 1/3 of the onion that you finely chopped, egg, diced tomato, oatmeal and 1 teaspoon of Italian seasoning. 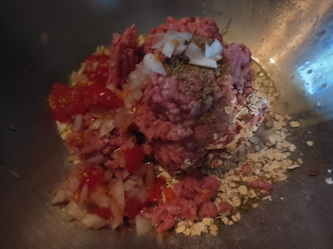 Add ground beef and mix well. 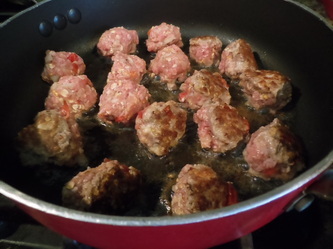 Shape into 16-18 mini meatballs. 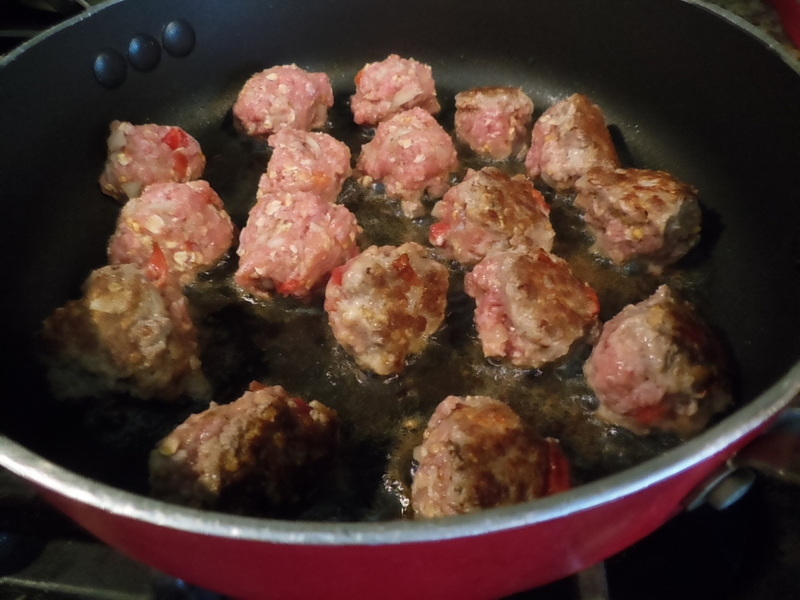 In a large skillet cook meatballs in hot oil over medium heat until brown on all sides. Set meatballs on a plate lined with paper towel to drain off all fat. 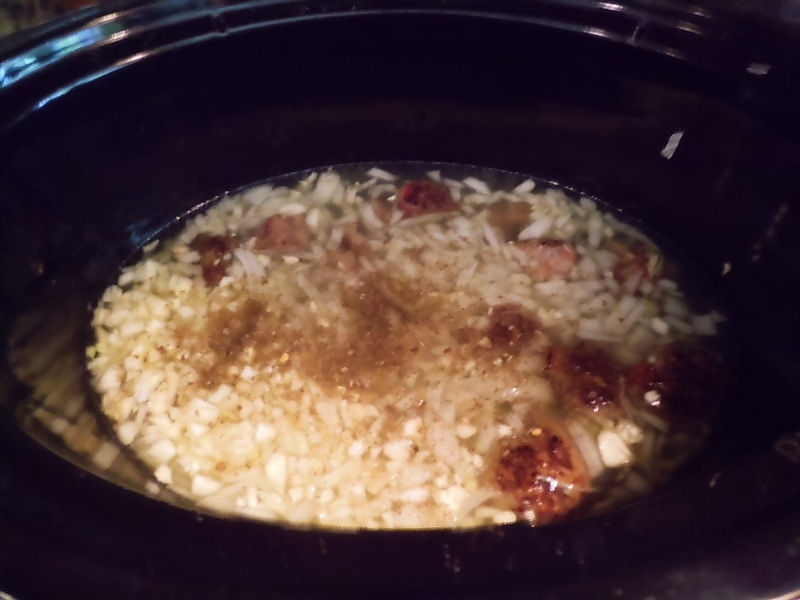 Transfer all meatballs to a medium to large slow cooker/crock pot. The finely chopped tomatoes in the meatballs add such a great pop, so fun and so yummy! Cut off and discard upper stalks of fennel, if desired save some of the top feathery leaves for garnish. 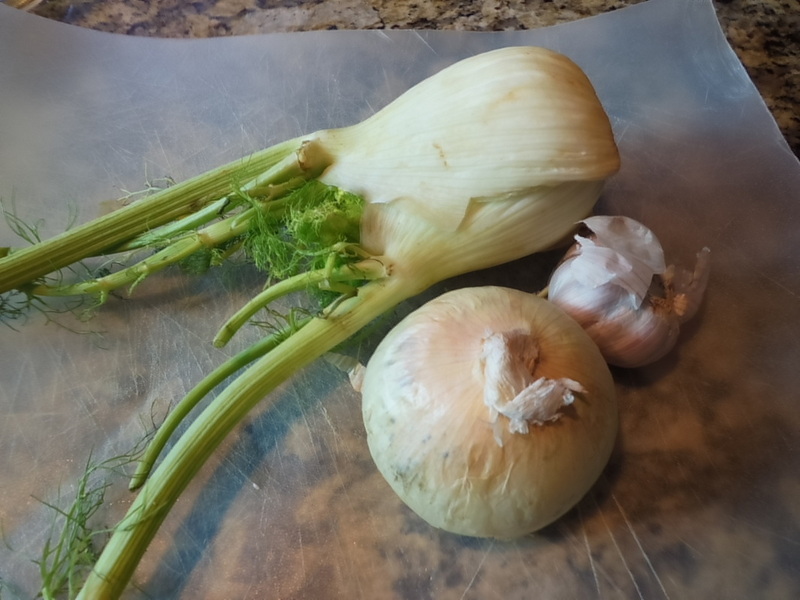 Remove any wilted outer layers and cut off a thin slice of the fennel base. 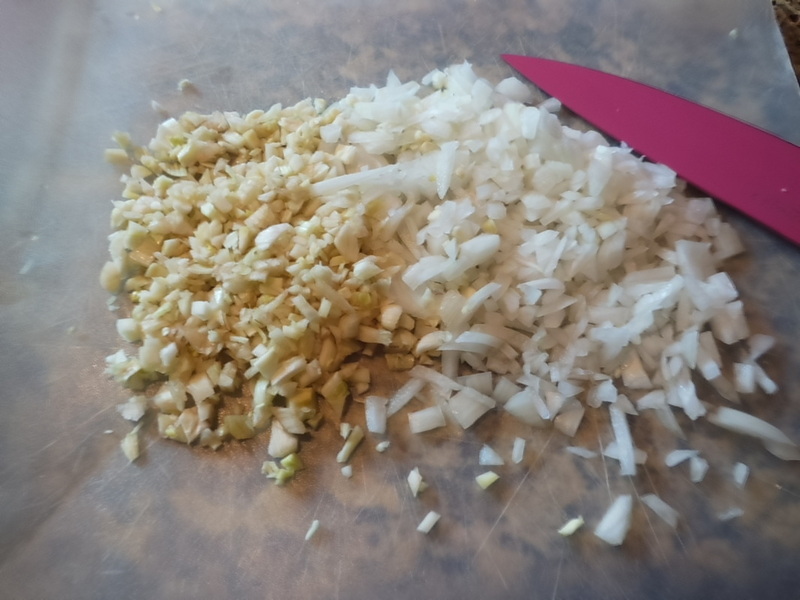 Cut fennel into thin wedges add to cooker. Add sliced onion, the remaining Italian seasoning, broth, water, garlic and pepper. Cover and cook on low fro 8-10 hours r on high for 4-5 hours. If cooking on low heat turn to high if you want to add the pasta. 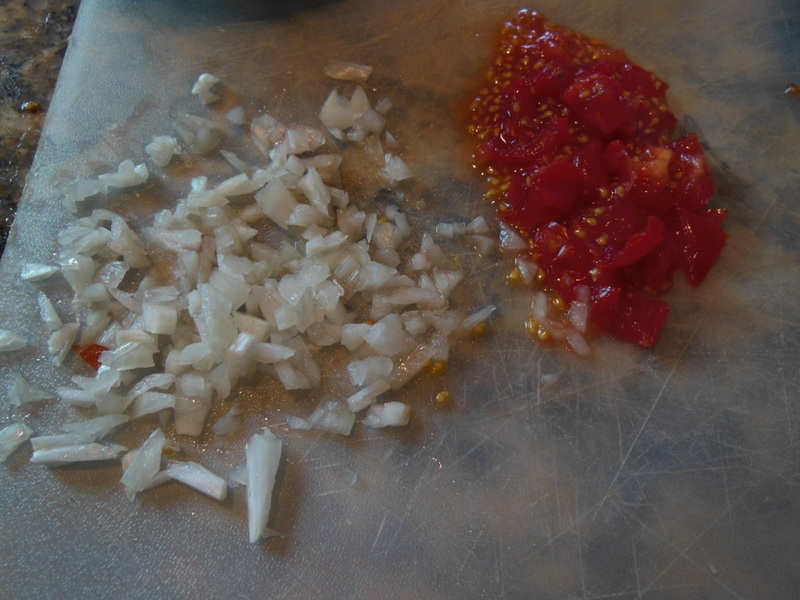 Add uncooked pasta and cook for 30 minutes or until pasta is tender. Stir in your greens and serve. Garnish with fennel leaves if desired. 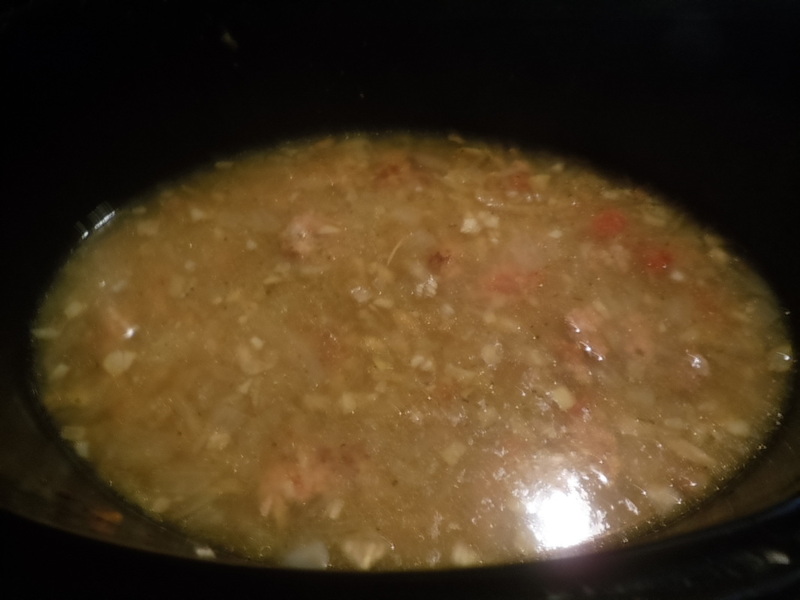 This soup is so easy to prepare and I love using the crock pot for this soup. 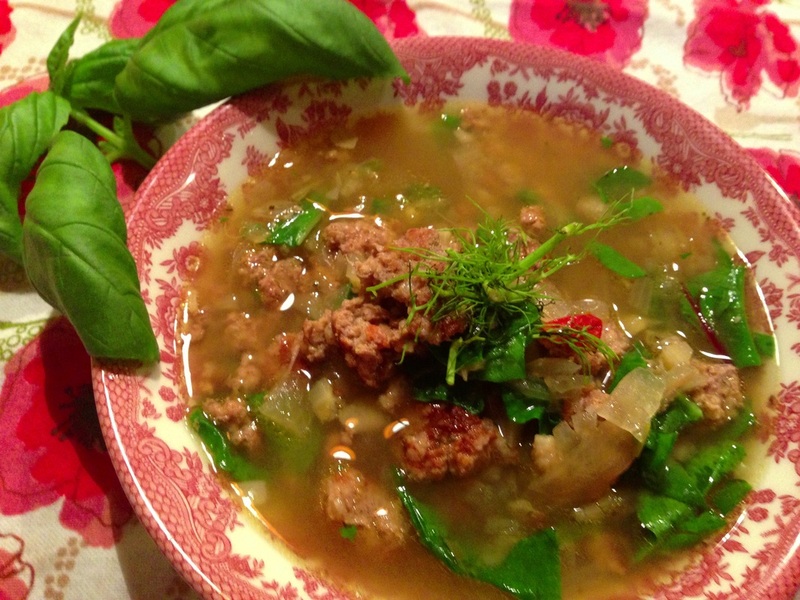 I had this as a leftover and I added fresh chopped tomato and arugula from my garden. It was very tasty with these add in ingredients. Remember when you serve your soups the second time mix up your toppings and change the flavor just a bit for a little leftover variety. I hope you enjoy this delicious recipe. It has become one of my favorites!